Dart Big Chief Head UNKNOWN - Dezod Motorsports Inc - Home of the automotive performance enthusiast since 2002. The Big Chief head has dominated in sportsman classes since it’s introduction, and we have continued to improve the design with the latest Pro Stock Technology. 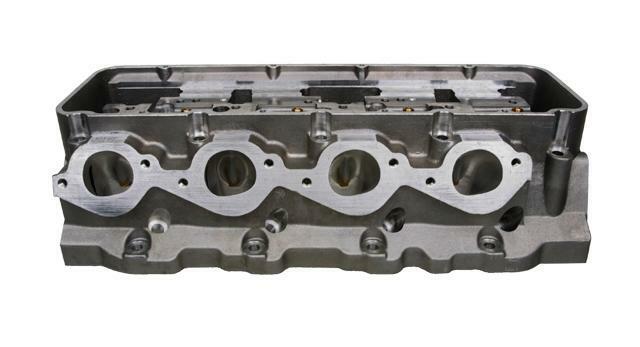 With our sophisticated CNC machining programs, we can tailor a pair of Big Chief heads to fit your exact engine combination. 18° rolled valve angle and raised ports for excellent air/fuel flow characteristics. 5-axis CNC machined intake and exhaust ports and combustion chambers. Huge 2.400” intake and 1.900” exhaust valves. Stainless steel or titanium valves available. Spread port design eliminates inefficient port locations, increasing power and consistency.